my juicy little universe: All-Billy Birthday Extravaganza! Welcome, all! 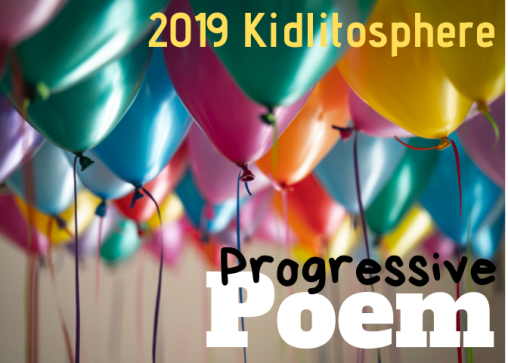 This week for Poetry Friday--thanks to the popular suggestion of Linda Mitchell at Mary Lee Hahn's blog last week, all who care to are posting a favorite Billy Collins poem (or Billy-inspired original. March happens to be his birthday month--the great man turns 76 on March 22. Leave your links here starting at 8pm, Early Birds! But I haven't found a satisfactory one, so I'm going with this one, dear to the heart of mothers and former sleep-away campers) everywhere. I'm hoping to have time to put together a "Golden Spine" poem--as you can certainly guess, that's a poem made of the stacked titles of another poet's poems, in tribute to their genius. In the meantime, the InLinkz froggy will help you hop from Billypad to Billypad, and I pledge to eventually make it to each and every post this weekend. Thanks for stopping by! That dude is older than Cheerios . . . LOL! I love him, and look forward to reading posts. Sadly, my poetry sisters and I were already committed to post original ekphrastic poems this week, so that is what I will be sharing! Oh, WOW!!! He's seventy-five!? He writes... so... youthfully. This is a fab idea. Putting on my party hat! Thanks for hosting and celebrating one of our favorite bards. Enjoy, The Poems of Others, by Billy Collins. The lanyard poem is such a heart-tugger. I've seen it illustrated also but can't remember where. And I liked it when the young performer touched his own chest, with emphasis, when he said "I." Must be some story in that family . . . to go with that video. Nancy Willard is my topic. I look forward to spreading the Billy Collins cheer later this month. The Lanyard is one of my favorite poems. That three-year old is amazing. I added a little Billy to my post, just for you. Thanks for hosting! I wondered whether I could find any child-appropriate Billy poems. Maybe "Five Haiku" and "Bathtub Families"? (Of course, "Introduction to Poetry" is pretty popular in high schools now.) Love "The Lanyard"! Happy to join in the Billy love this week with three of his foodie poems (my link goes live at 6 a.m. Friday morning). We have scads of Billy Collins books at the library, so I had a great time sitting in the stacks finding the perfect poems for today! Thanks for hosting Heidi. i didn't know there was a Billy Collins theme, so I shared something about stingrays. Love your two offerings - hadn't seen the video, and you are right about The Lanyard speaking to mothers. Just glanced at your post--it's much more than "something about stingrays," Sally! There's room for all creatures here--go see the Billy poem Linda chose, called "The Poems of Others." Such a glorious idea/party, Heidi - thank you for hosting. I already had a different post/giveaway planned for today but will certainly enjoy reading all these Billy Collins poems - as I enjoyed that crazy video - goodness! - and this touching, riveting poem you've shared. Happy Poetry Friday! This Billy celebration is such a treat, Heidi! I am going to love reading (and rereading undoubtedly) many of my own favorites, beginning with this one. :) Even though I had a Spotlight interview scheduled for today, I included one of my favorite animated Billy videos at the end of my post. Thanks for hosting, my dear! Thanks for hosting this Billy-fest, Heidi! Oh, what a cutie! I was quite impressed with his recitation. Thanks for showcasing Billy this week and for hosting! Hi Heidi, thanks for the endearing lanyard poem by Billy Collins, and for hosting Poetry Friday. I look forward to seeing your "Golden Spine" poem too! Thanks, Heidi, Wonderful pick for your poem. it will be interesting if you do create that "golden spine". Thanks for hosting! Michelle and Linda--competing obligations are keeping me from getting started, but I'll try this weekend...Friday morning is Teacher Activist morning at my school, so I'm distracted by printing out the horrifying HB 610 to fire people up! Hi Heidi! I'm in with my poetry sisters today. This month we wrote to an image selected by Tanita. Thank you for honoring Billy Collins, whom I adore, and for hosting. Well, Heidi, I finished this post at 12:45, then came over to get your link, only to find that we've chosen the same poem. I'm out of energy tonight, but I'll add another poem tomorrow. Thanks for hosting today! I wondered how often that might happen, Catherine, and I don't think you need to worry...some poems are worthy of TWO readings, maybe more! What a great idea to highlight Billy Collins! I so enjoy his wry, quirky sense of humor. My family often references his poem, Creatures, as we look for faces in unusual places. Thanks so much for hosting today and for celebrating all things Billy! Billypad to Billypad. Ha! I'm sharing a poem I wrote with my Poetry Sisters, so no Billypad at my place, but I hope you'll hop by anyway. I have so many of his poems bookmarked or copied out at home, so I'm with you in spirit! Your choice is one of my very favorites. Hey, does anybody here know Billy Collins? I hope he sees this extravaganza in his honor! Happy Friday! Thanks for hosting. Hmm, maybe I'll post Billy Collins next week... Remind me! Excellent idea, Heidi - and thanks for the heads-up and for hosting. This celebration also alerted me to lots of online poems available by BC especially at The Poetry Foundation, so I have some pleasurable poetry-reading ahead. I've posted and linked to a new (to me) poem by him called "Canada." What a timely find on this year of Canada's 150th birthday celebration. Heidi, thanks for hosting and celebrating Billy Collins' birthday. I found a delightful read aloud of his poem "Snow Day" to accompany my post. I was astonished by the 3 year old's rendition of the Collins' poem. That was a wonderful addition to your post. Have a great weekend. This roundup will be a fine distraction today as I float (anxiously) on the river of Wait at the hospital. Mom has another surgery later this morning. I composed my poem using lines from Billy's poems. Thanks for the Billy Collins celebration and thanks for hosting. I look foreward the reading the posts. I'm linking up late after being with students at a school today. When I watched one of my fifth graders weaver her pick and green lanyard It took on a whole new meaning. Thank you for celebrating Billy Collins today. He is a marvel. Thank you for the Lanyard poem, a real treasure. 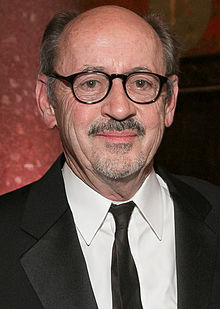 Nice to see all the Billy Collins love going around. The 3 year-old reciting that poem is priceless! I'm looking forward to your Golden Spine poem. Maybe I'll try one!